Our job is to build you the home you’re dreaming of; so, you can build the life you’ve always envisioned. New home construction is serious business. 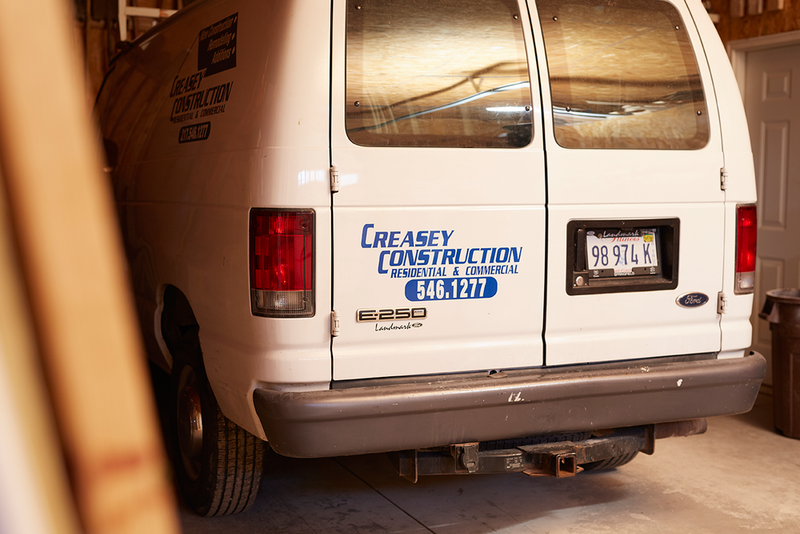 If you have fantasized building a home for years and you are finally ready to take steps to begin your home construction project; call the experts at Creasey Construction. We are prepared to listen and learn about your life, family, ideas, and imagination so we can bring everything you want and need from your home, together, under one roof. As professional home builders, we collaborate with top architects and specialty trade contractors in Springfield, Illinois and beyond to build highly customized homes that provide homeowners with pride, pleasure, and peace of mind. The talent and knowledge of our skilled carpenters empower our team to bring high-class comfort and quality into every house we build. From a spacious ranch style retreat to an extraordinary two-story; we understand, embrace, and produce a variety of home design projects based on your unique life and style. Building the home of your dreams can be a fantastic adventure. Teaming up with a builder that knows how to do home construction right is a no-brainer. Call Creasey Construction (hyperlink to the telephone number) to schedule plans to build your new home, today.